Astrology For Bloggers, How to get success in blogging industry?, What Gems stone will help to make mind creative for developing websites. Blogging is becoming an industry these days. It has become a new source of income for the writers. Big celebrities, industries, companies keeps bloggers to make their online reputation and they pay a good remuneration to bloggers. Blogging is the only means to make reputation in web world. Through this you are able to get in touch with the world. If any one wants to make career in blogging and not get the right opportunity then astrology can help him or her easily. Through astrology it is possible to find out what are the factors which are creating hurdles in making career in blogging industry. If a person has good power of mercury and if it is the master of lagna or earning place then the person has a chance to make money from writing. If a person has good power of Sun too then definitely he will get success in blogging. Since in web world the success of a blogger depends upon the visitors which is just also like a gambling. So it is seen also that a person having good power of rahu and ketu also get success in this industry. 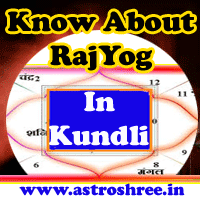 If mercury, sun, Jupiter is weak then person writes but he or she is unable to cash his or her blog satisfactorily. Mercury if good in horoscope, birth chart or kundli then it supports the blogger to interact with the reader of his or her blog dynamically which helps to make better relation. If the blogger has good Venus power with mercury then it helps the blogger a lot. You want to know how? Venus gives power to make the blog attractive, it gives ideas to compel the readers to join the blogger. So Venus is very important. Some bloggers has good blog but they are not getting good deal to cash their blog. Some bloggers who work for themselves are also not getting success due to lack of communication power. Due to over confidence also some bloggers fails to cash their blogs. Some are not getting response due to fade presentation. So if you are a blogger and also facing any difficulties then it's good to consult an experienced astrologer who can tell you the ways to attract the luck to get success in web world. Occult science has the power to open the way of success, Astrology will show you the truth and if you take some steps as per the astrology then no doubt you will get tremendous success in life. So don't worry if your blog is not working finely, don't worry if you are unable to understand the web world, don't worry if you are unable to write fresh articles, just Consult and get the right way of success. Astrology For Bloggers, How to get success in blogging industry?, What Gems stone will help to get success in blogging?, What are the planets which helps to earn from blogging?, Astrology for blogging.